Sun's NBA Draft Viewing Party Today at 3:30pm! 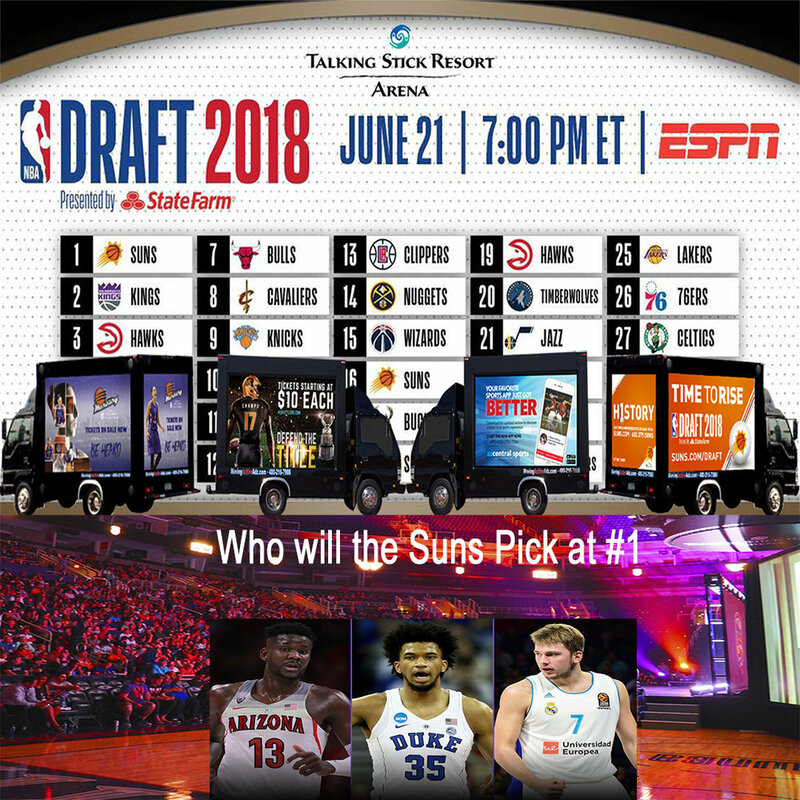 The Phoenix Suns are inviting fans to Talking Stick Resort Arena on Thursday, June 21 for the Official Suns NBA Draft Viewing Party. Doors are scheduled to open at 3:30 p.m. Register to attend the free event at @Suns.com/DraftParty. Sun's NBA Draft Party YouTube Video! Sold Out Maroon 5 Concert Downtown Phoenix at Talking Stick Resort Arena! MAA Mobile Billboard Promotion.